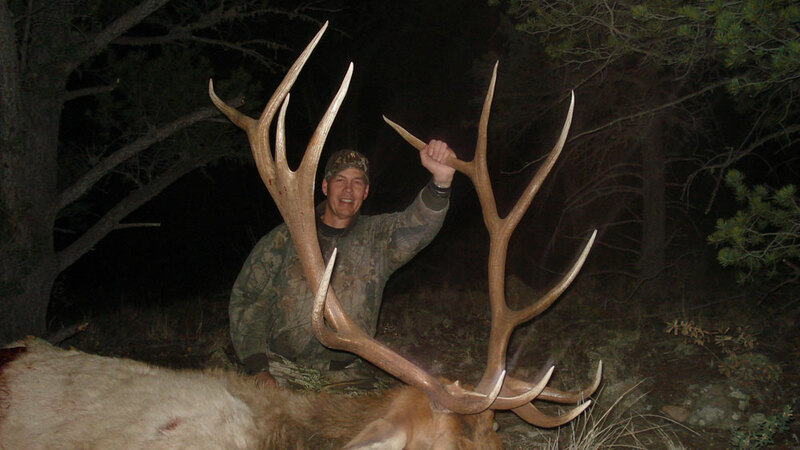 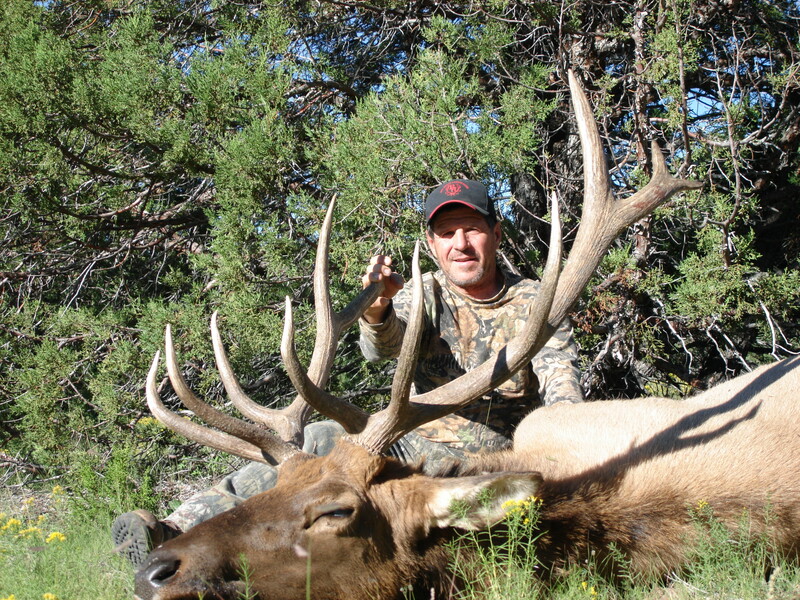 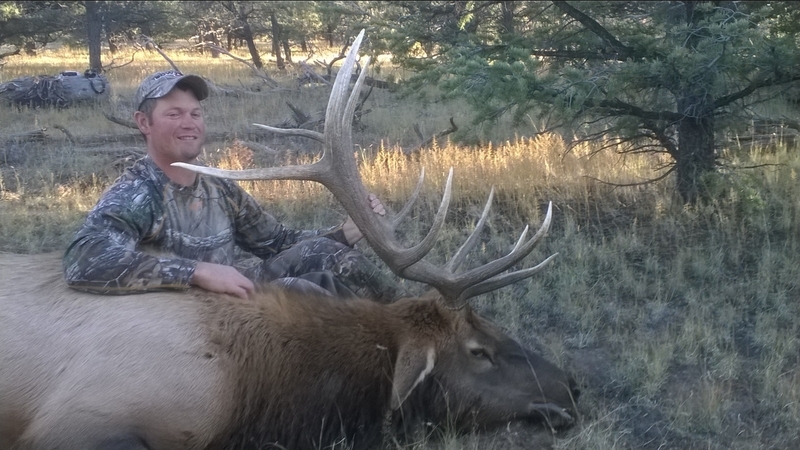 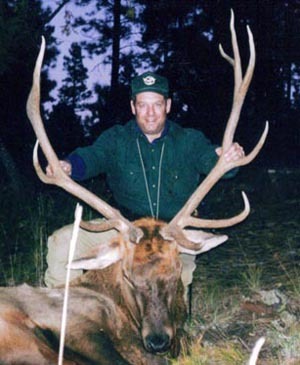 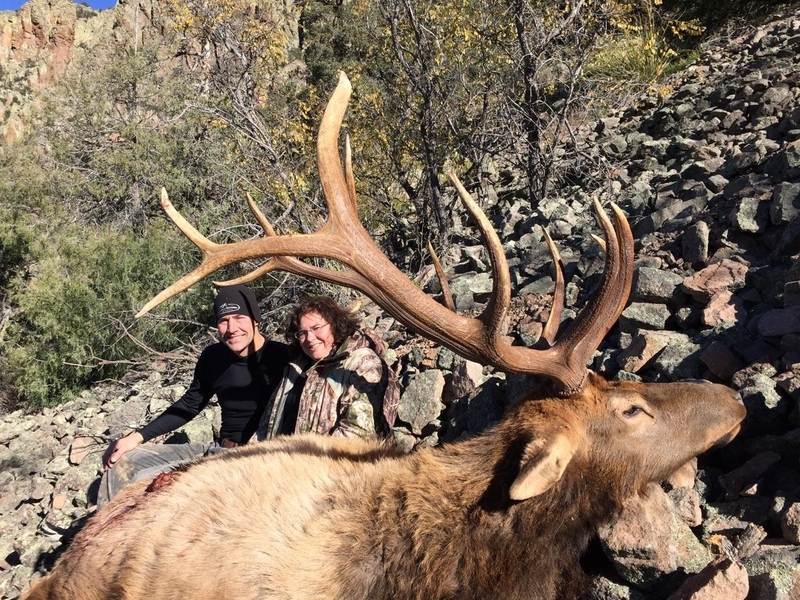 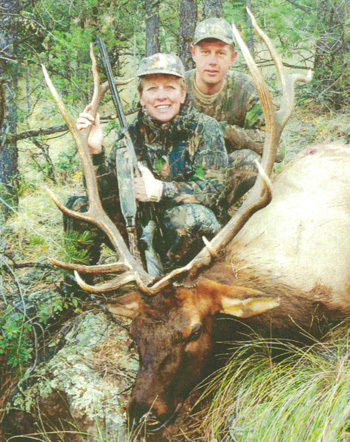 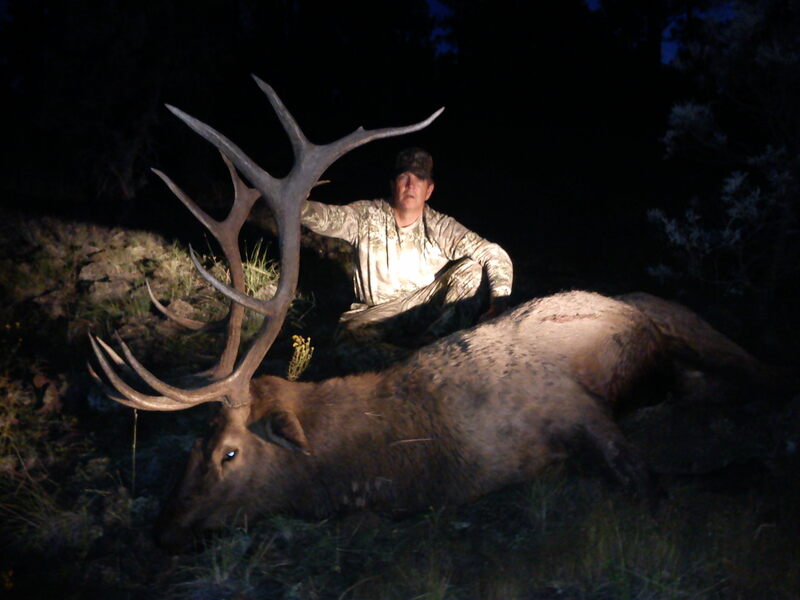 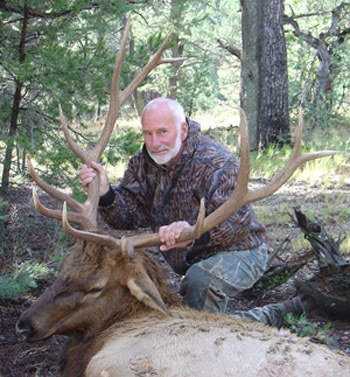 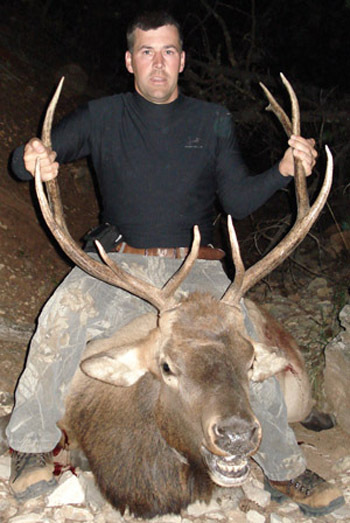 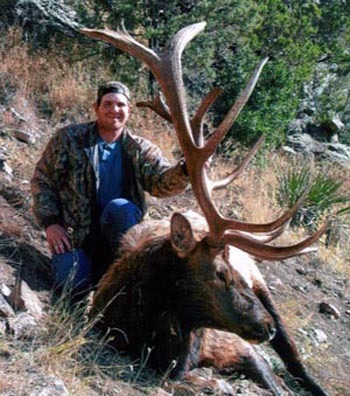 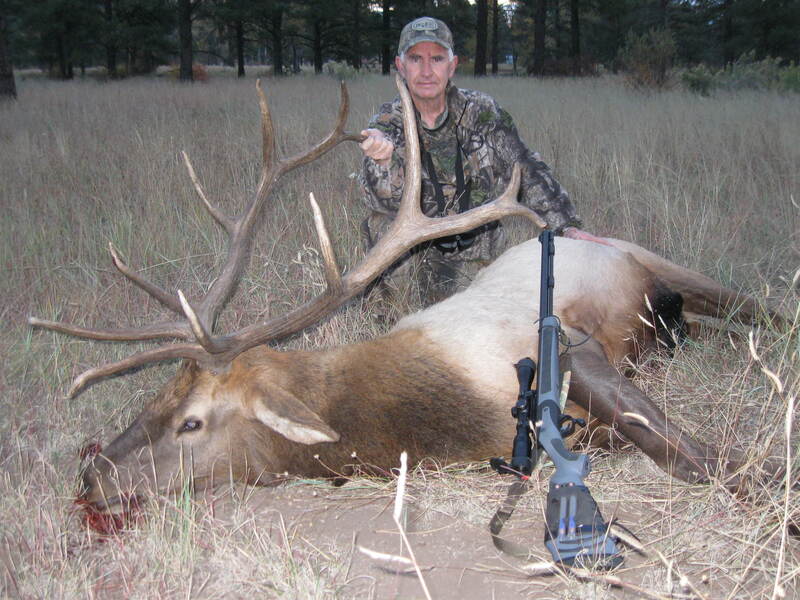 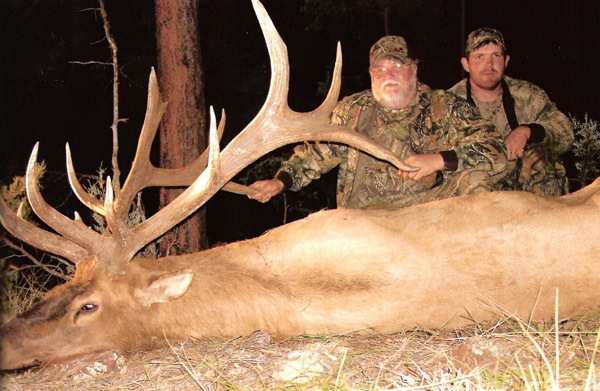 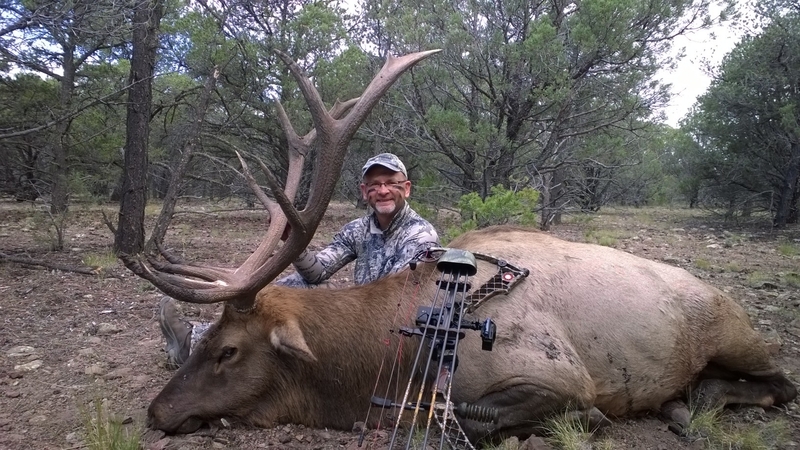 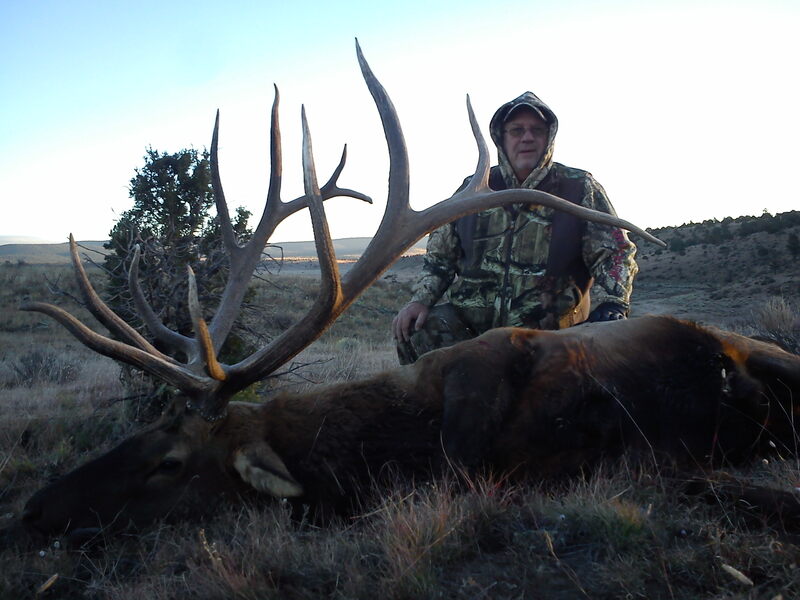 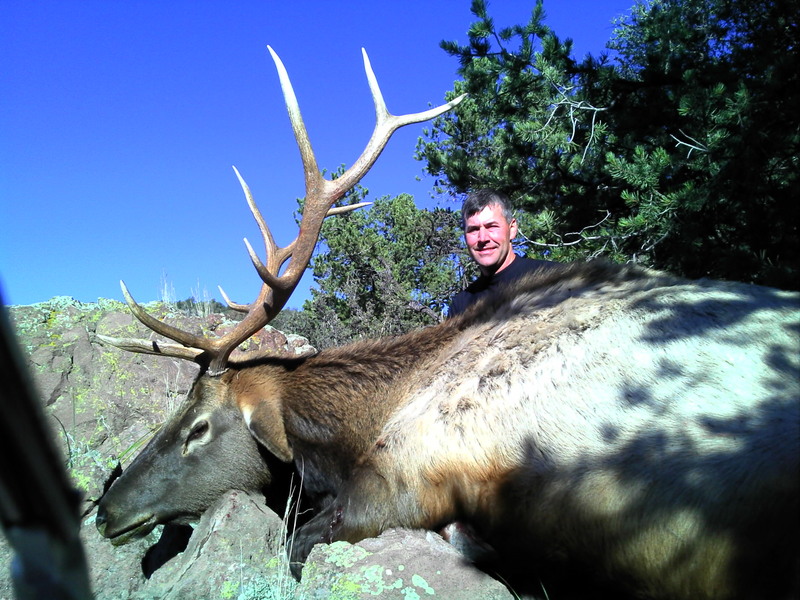 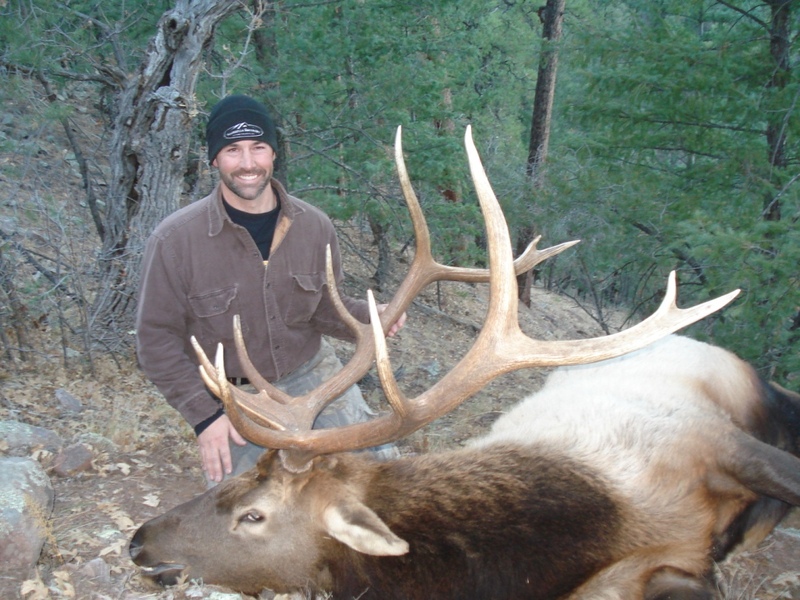 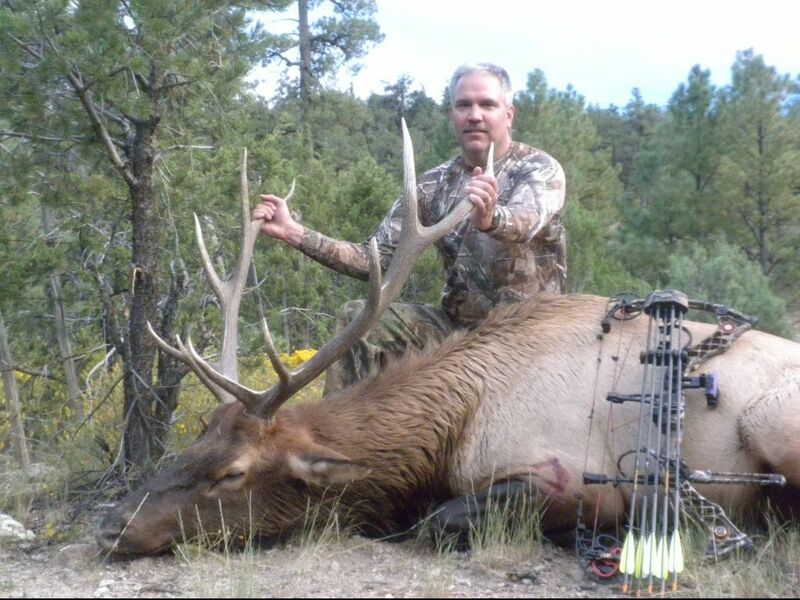 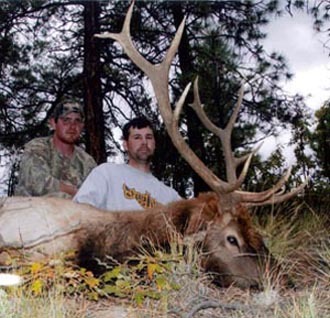 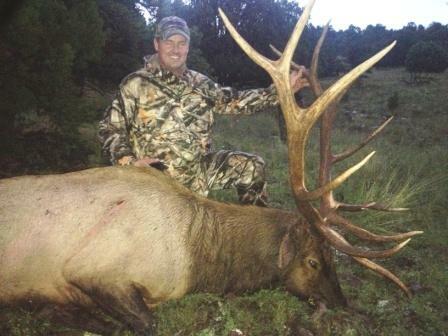 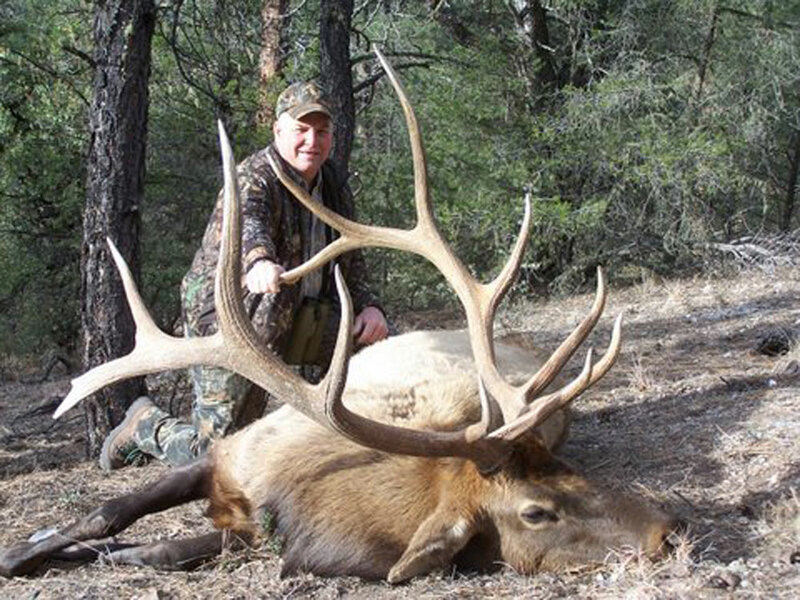 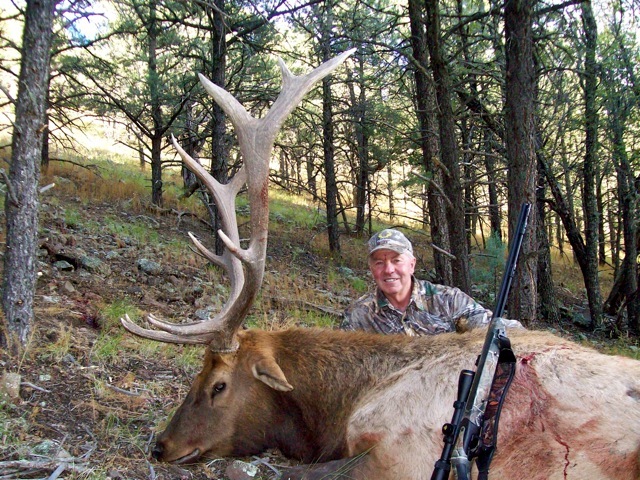 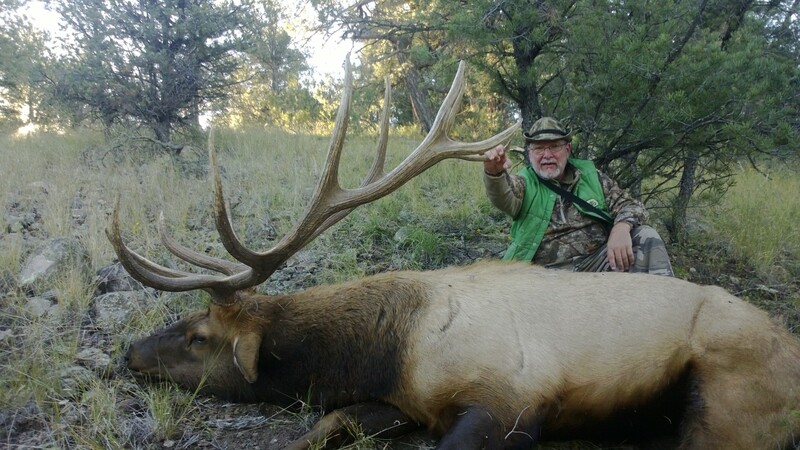 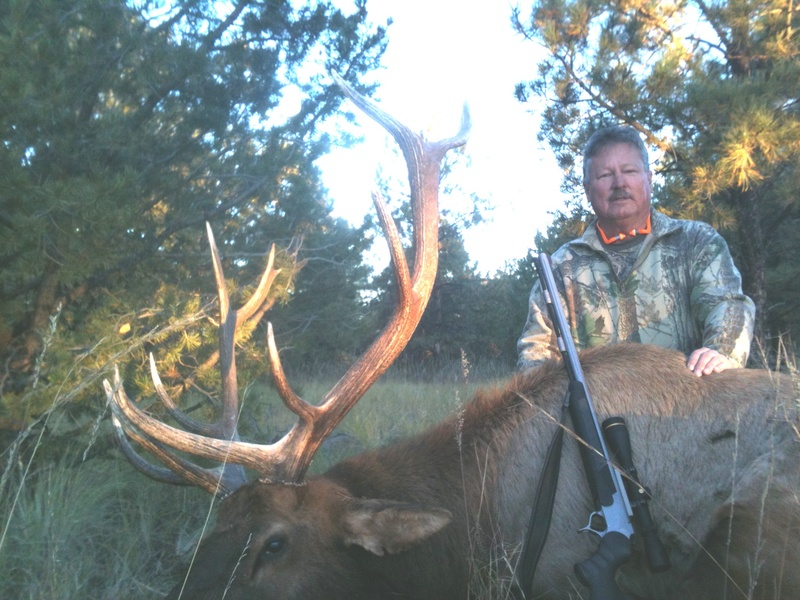 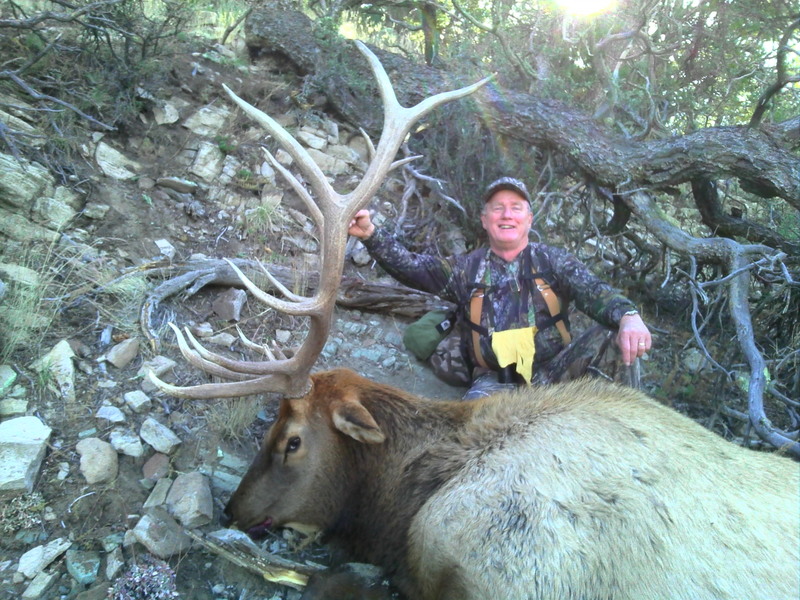 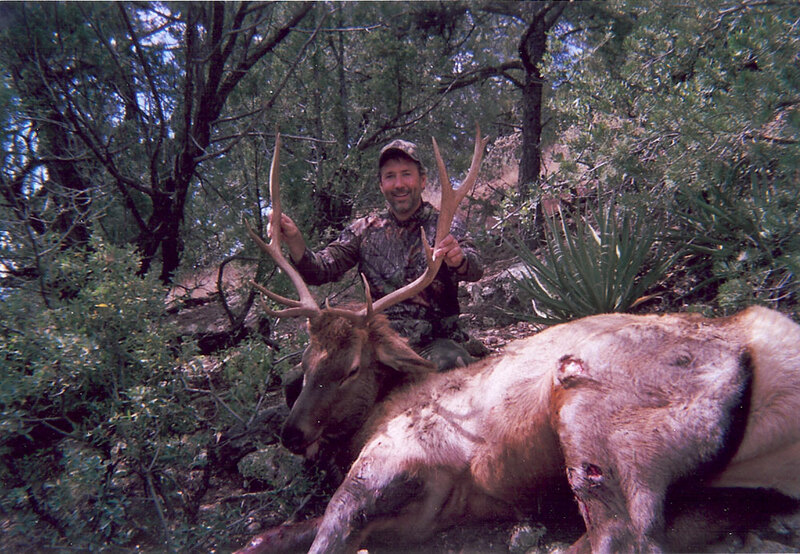 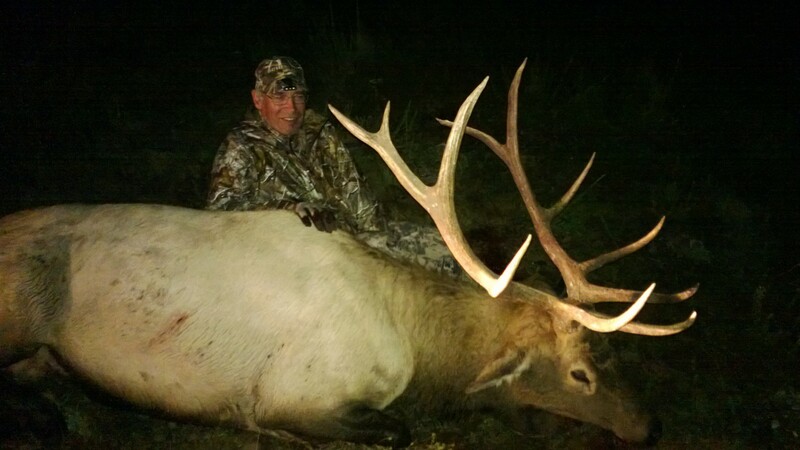 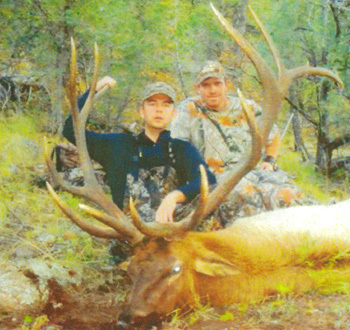 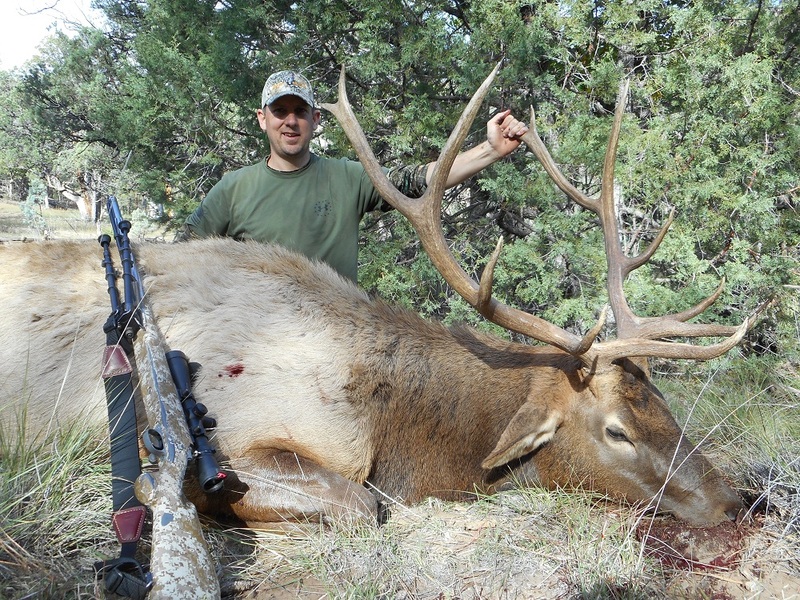 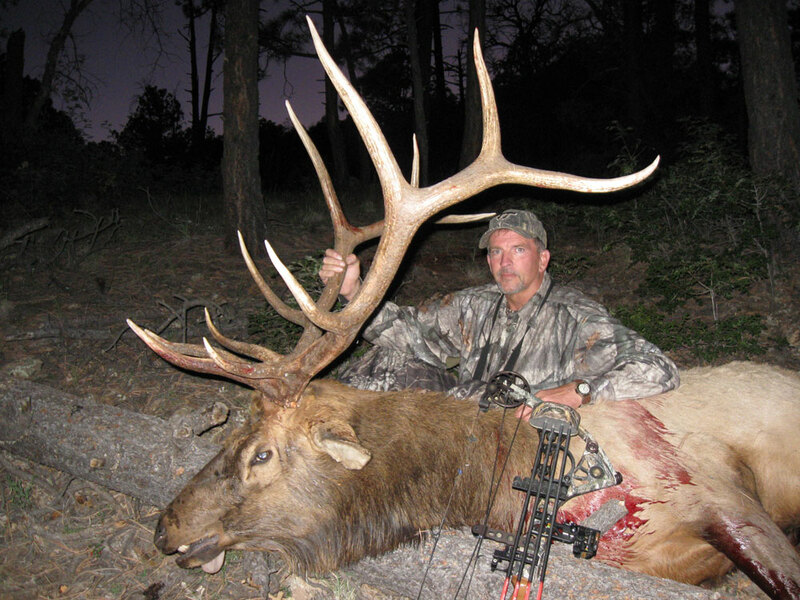 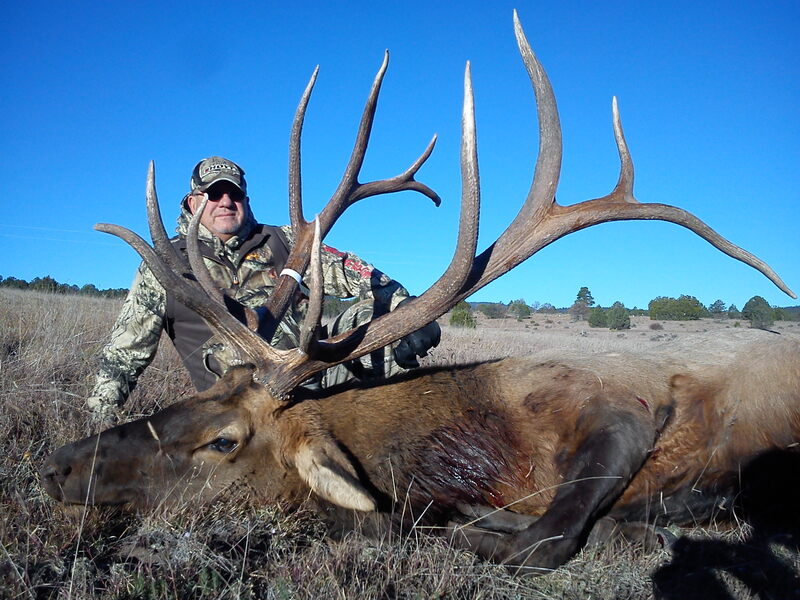 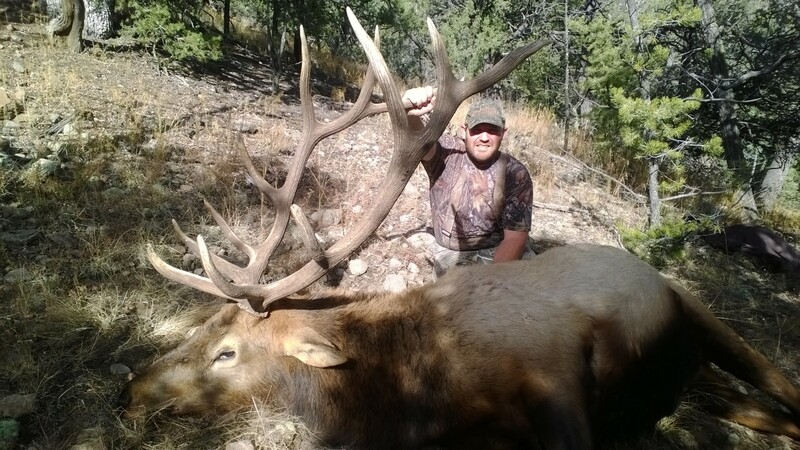 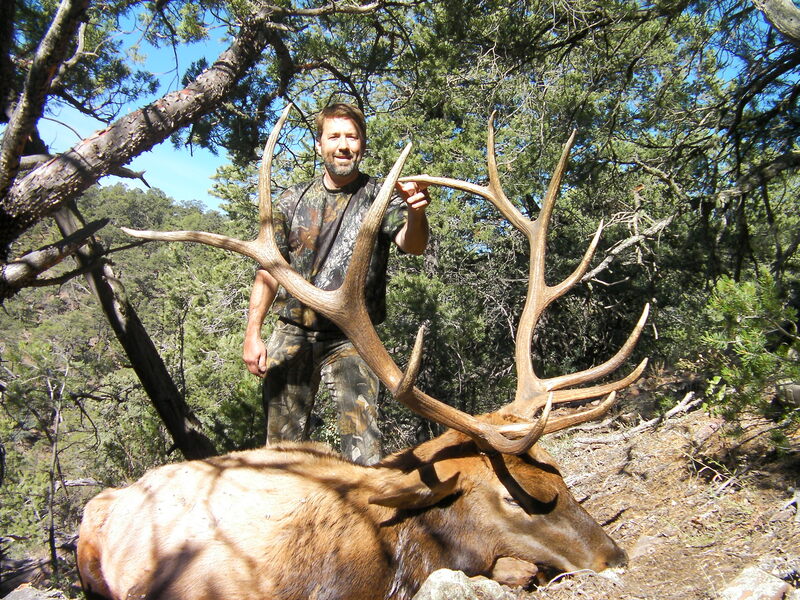 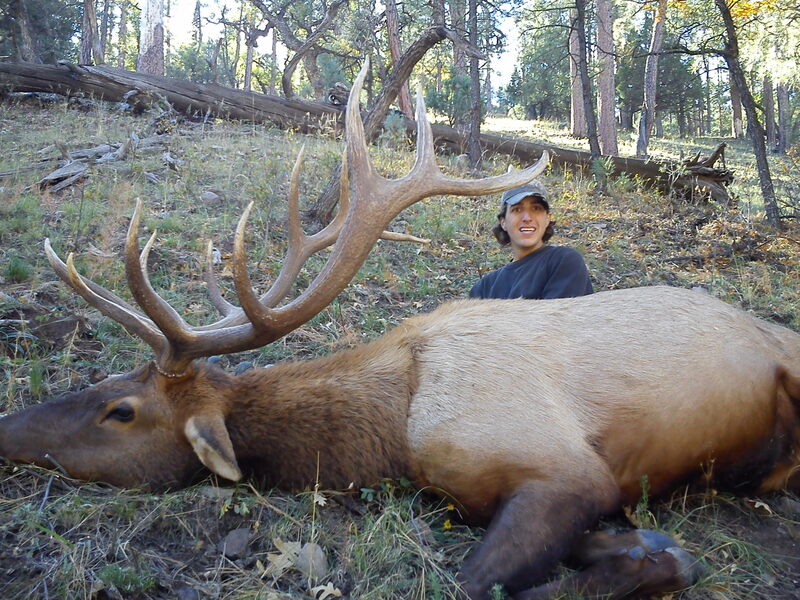 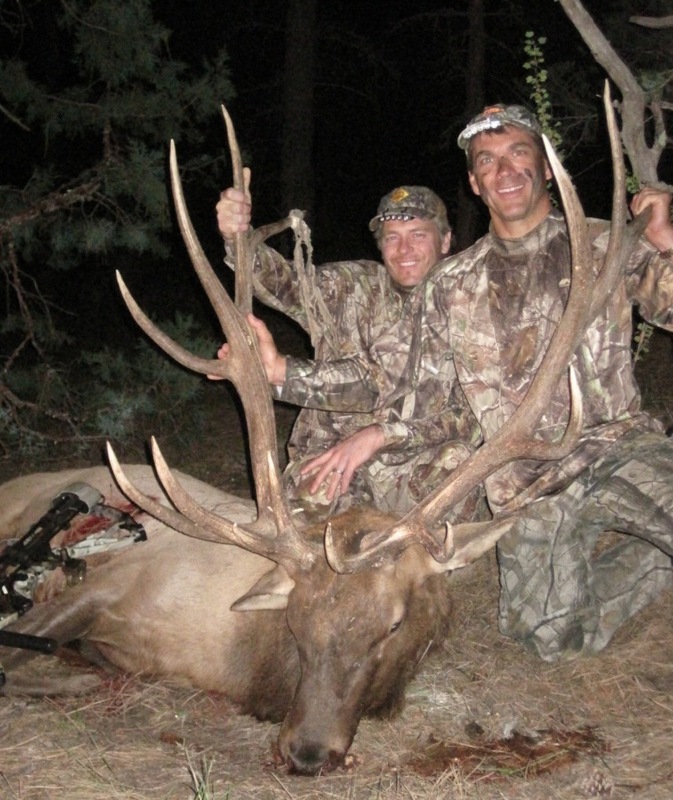 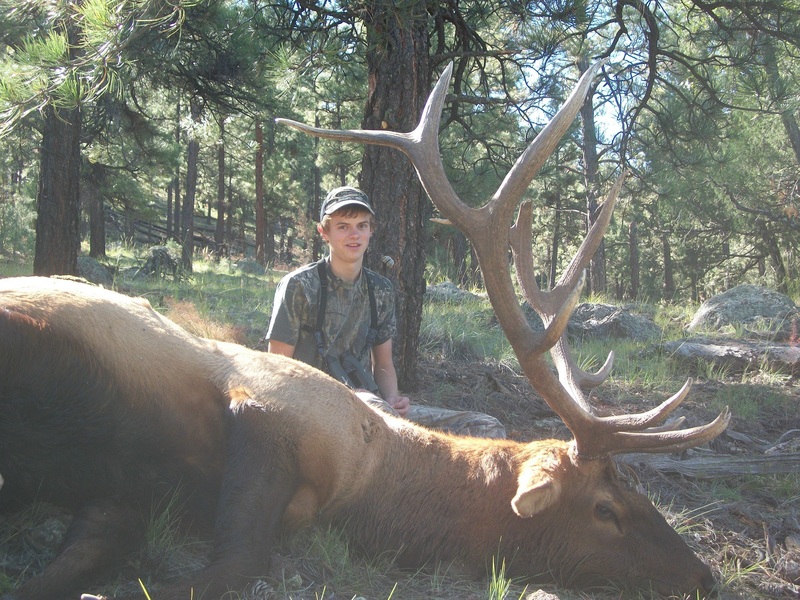 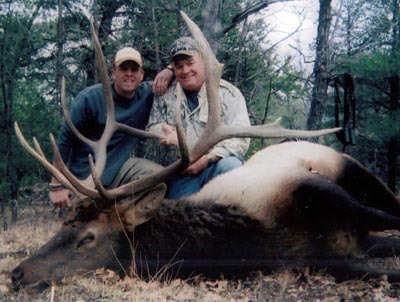 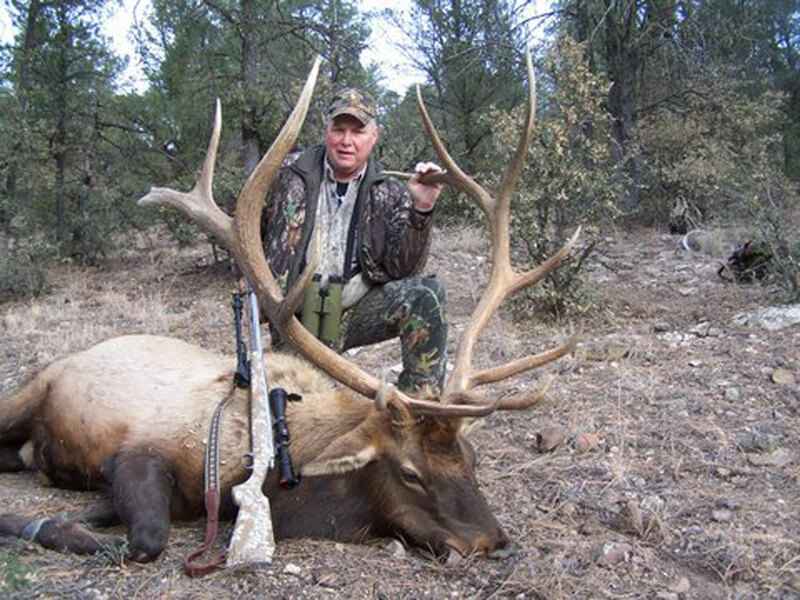 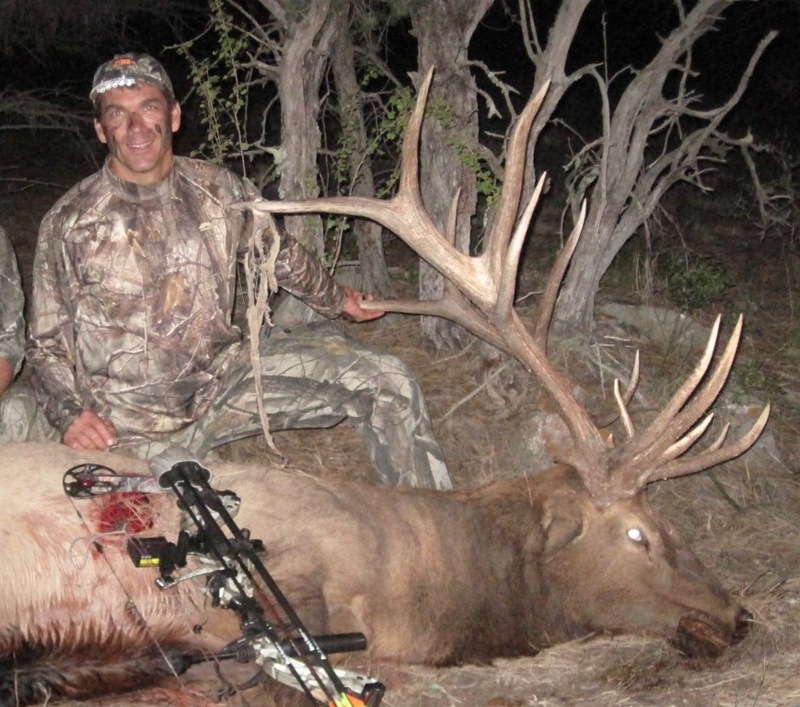 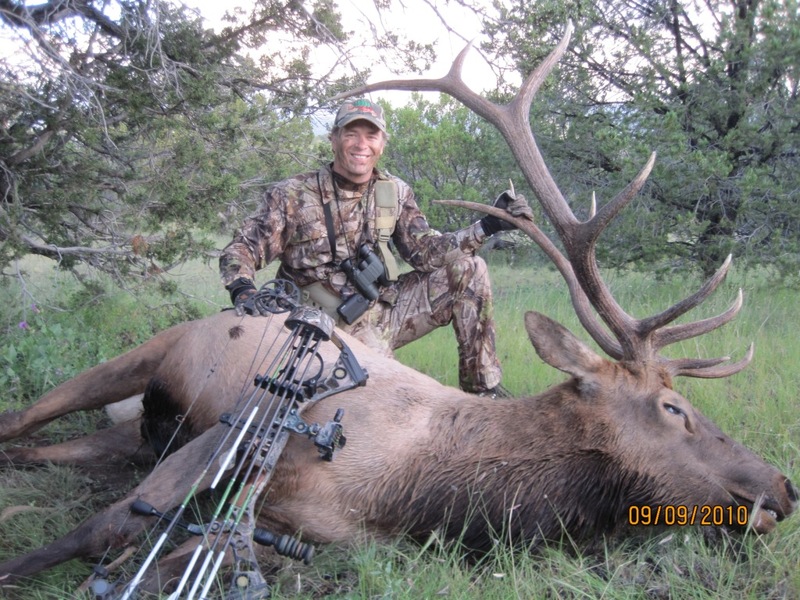 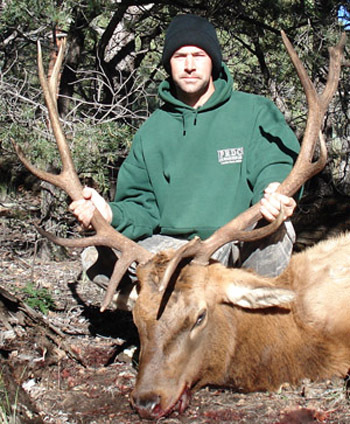 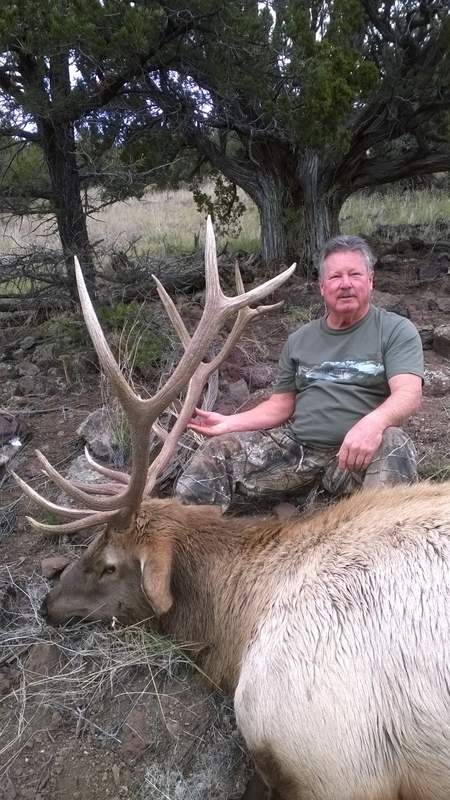 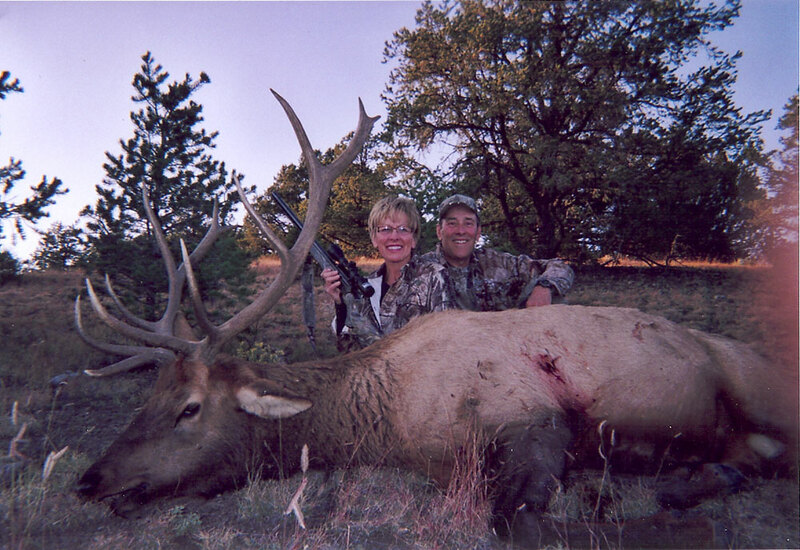 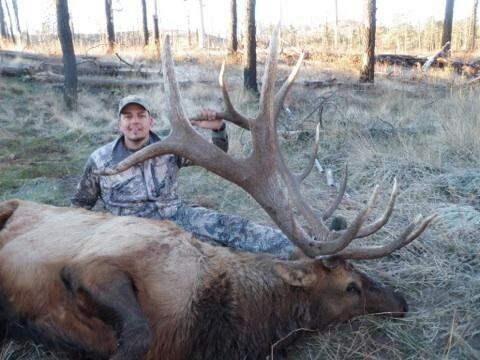 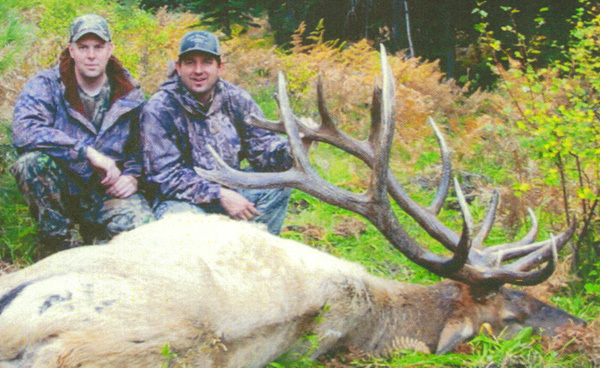 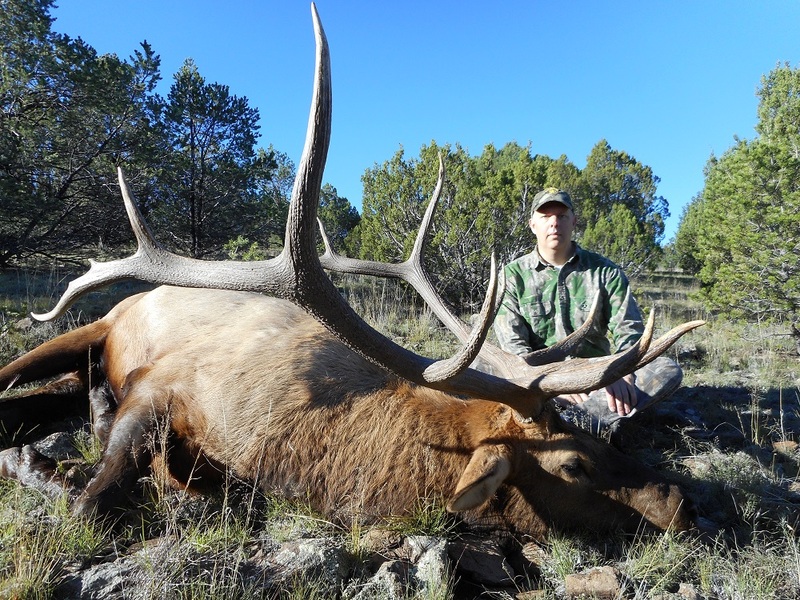 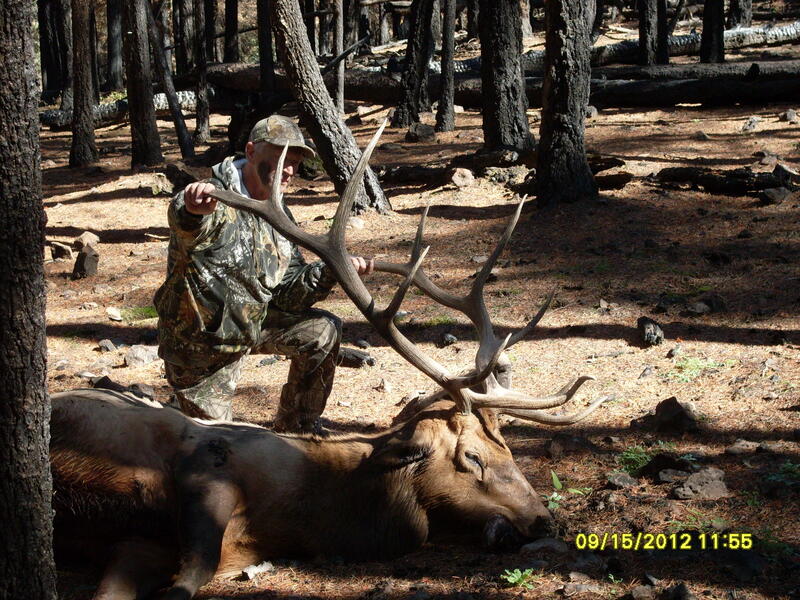 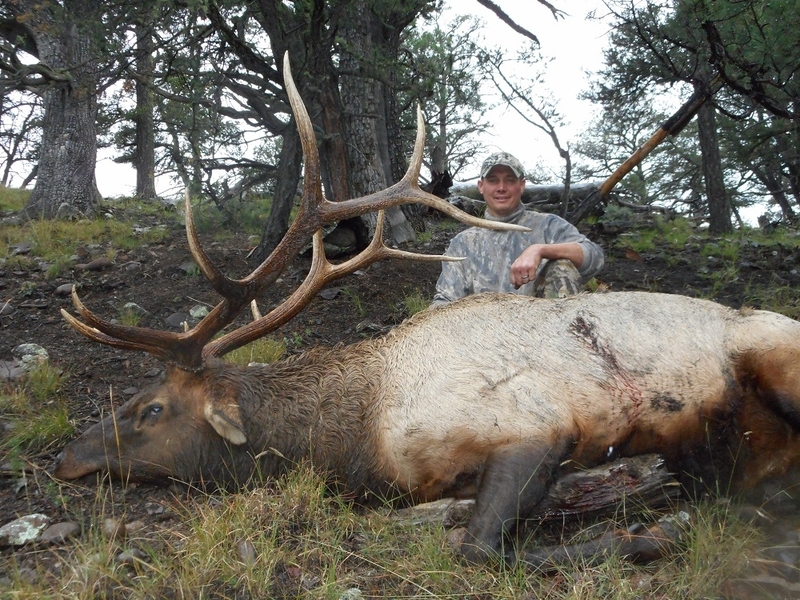 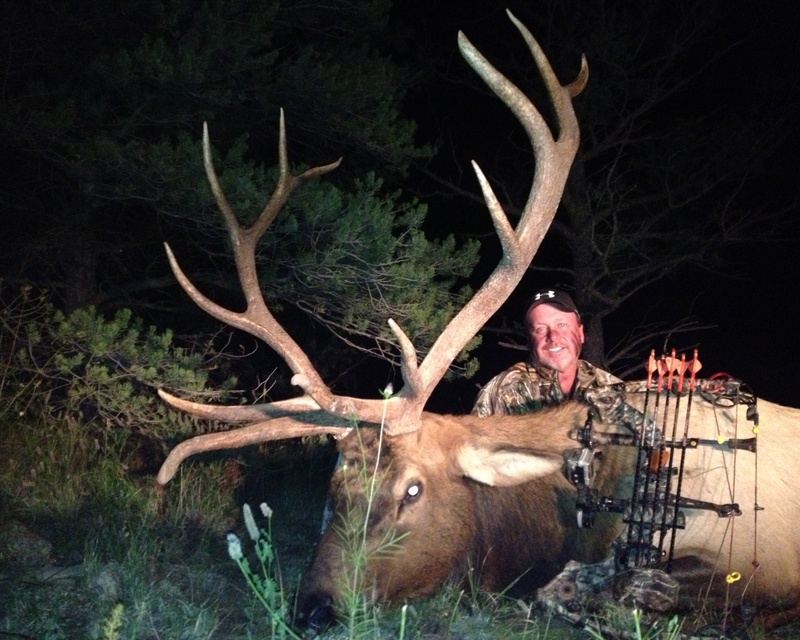 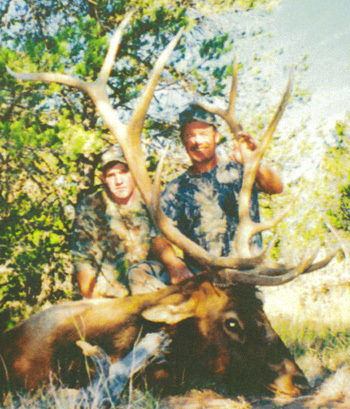 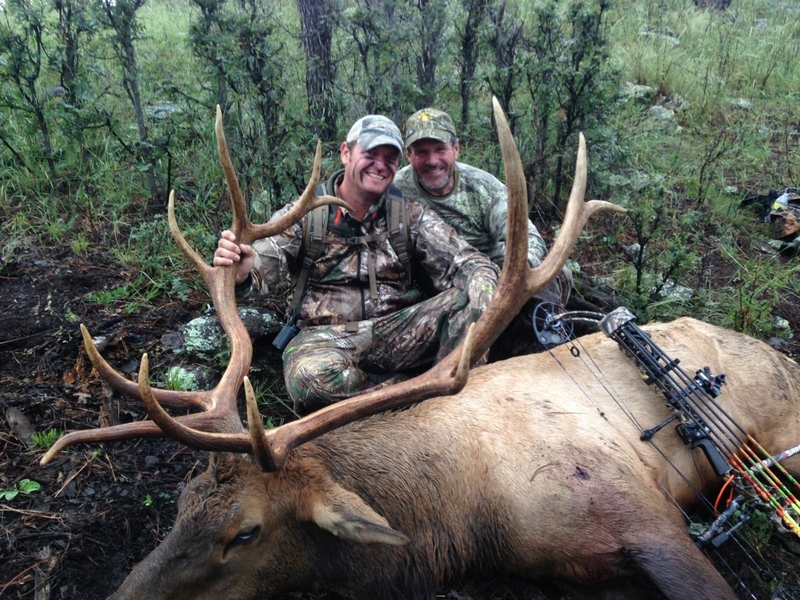 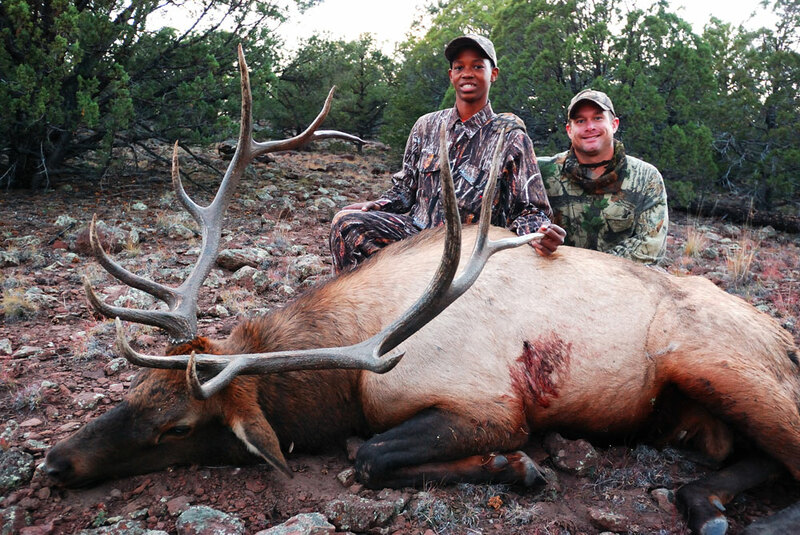 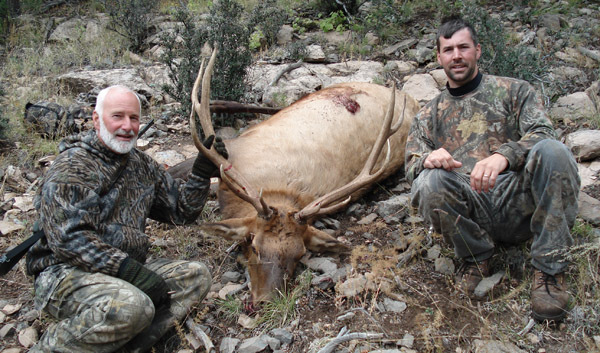 Hunting for New Mexico Elk offers thousands of square miles of public and private land and a great diversity in climate and terrain, ranging from the snow covered peaks among the towering Ponderosa Pines, down into the Piñon, Juniper and grassy meadows. 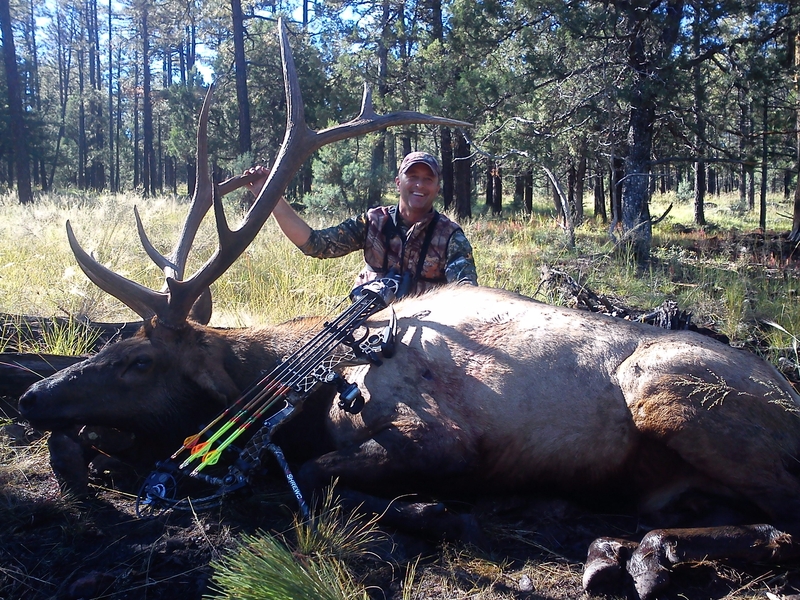 Most of our New Mexico Elk hunts are in a range from 5,000 to 10,000 feet in elevation, with typically mild daytime temperatures. 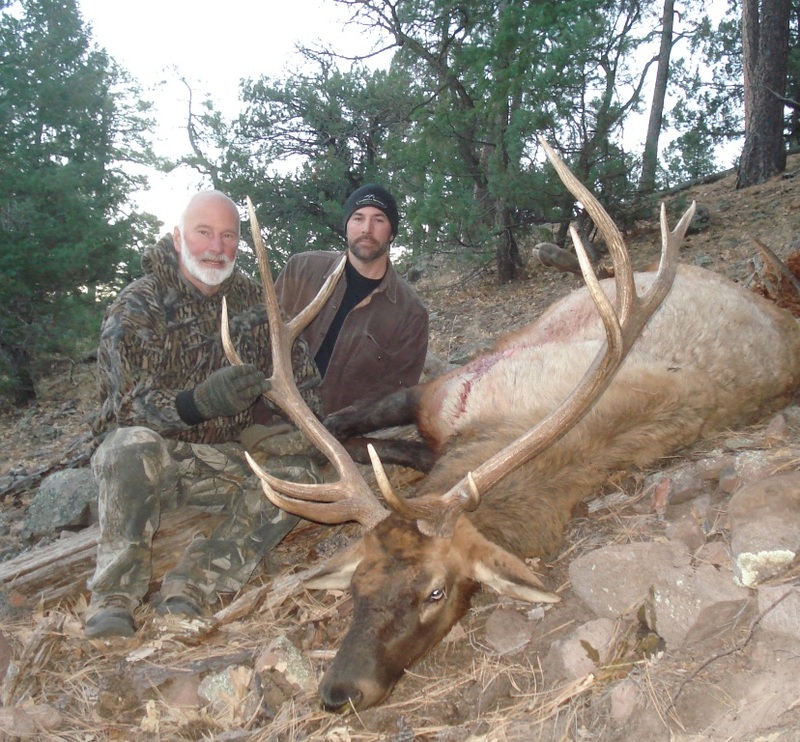 The mornings and evenings however, can drop down to around zero, and hunters should plan and prepare for these extreme changes in temperature, as well as the effects of high elevations on the body. 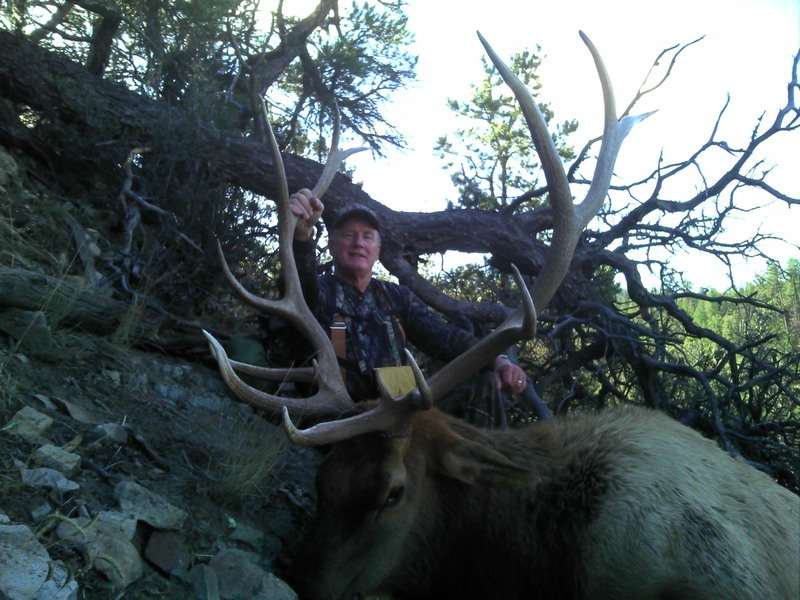 To have the most enjoyable and successful New Mexico Elk hunting experience, we encourage our hunters to come physically prepared and to bring clothing appropriate for this diversity in weather and terrain. 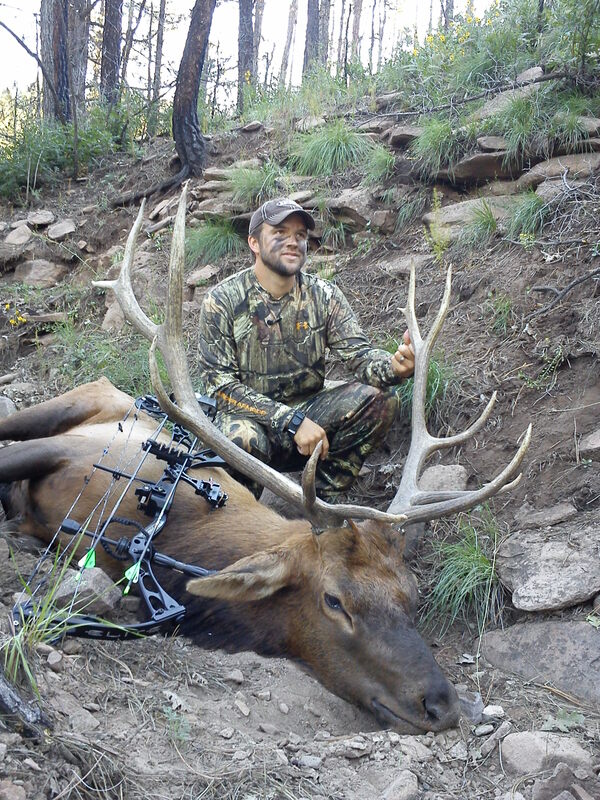 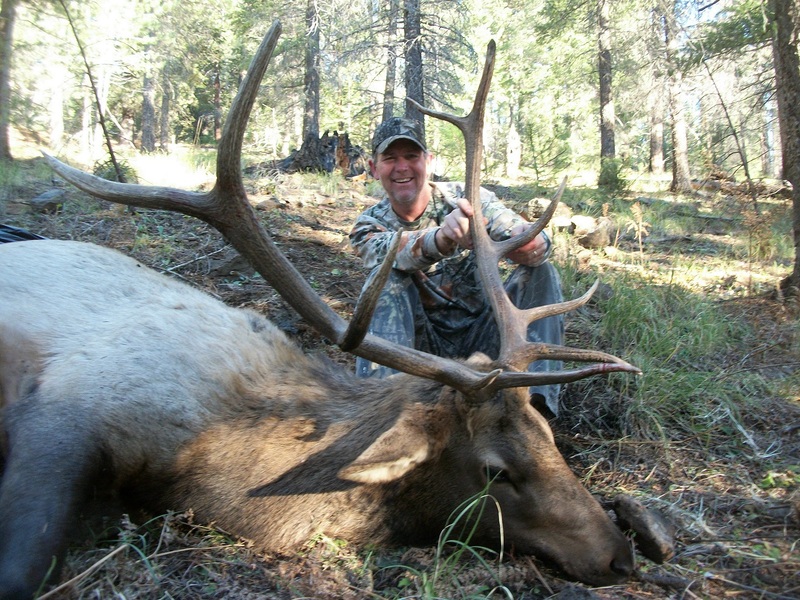 Trophy quality * We hunt the Gila and Apache National Forest. 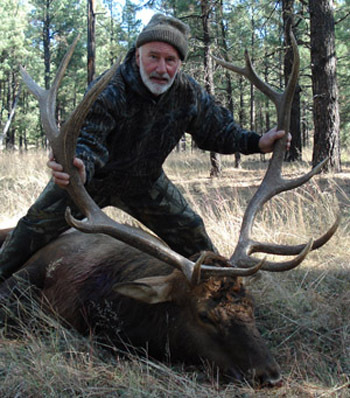 These areas are strictly managed for top quality bulls. 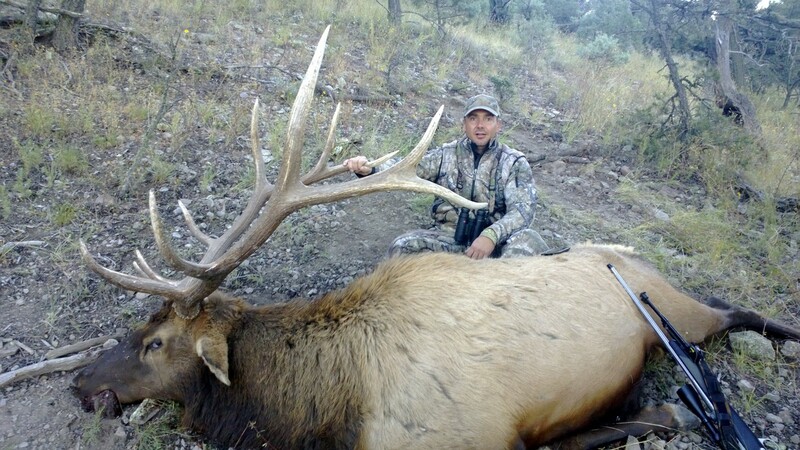 We consistently take mature 6×6 bulls with top trophies in the 400’s. 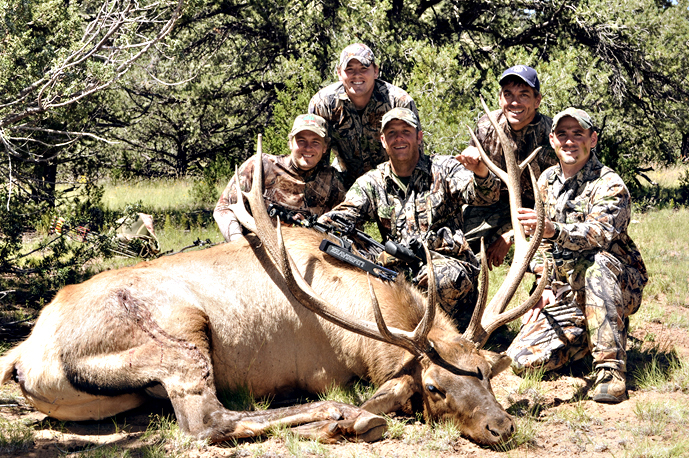 Hunt 1 – September 3 – 7 Pre-rut, the bulls are heating up. 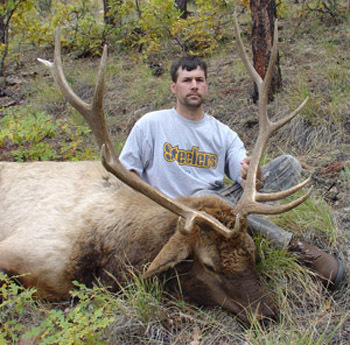 Be the first in the field. 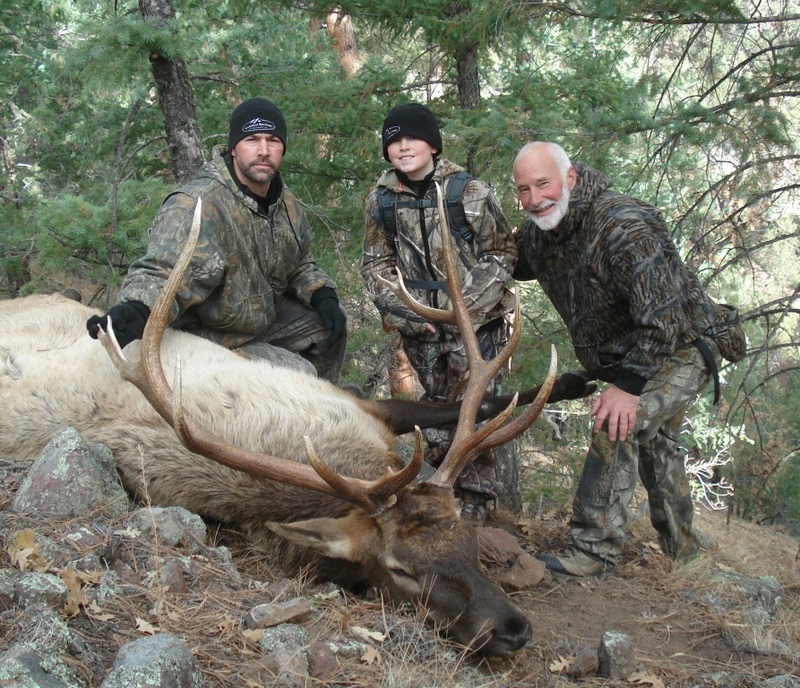 A chance to get after those big bulls before they have twenty cows watching their backs. 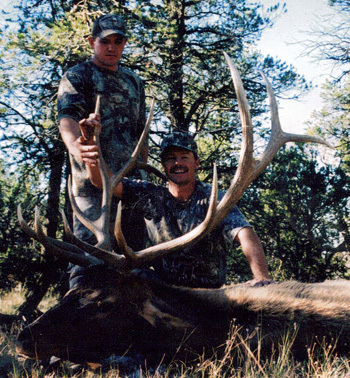 Hunt 2 – September 10 – 14 The Rut. 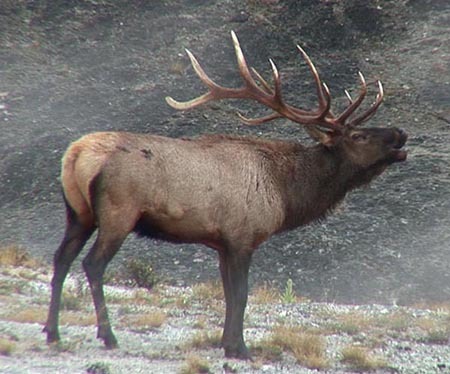 The bulls are more vocal. 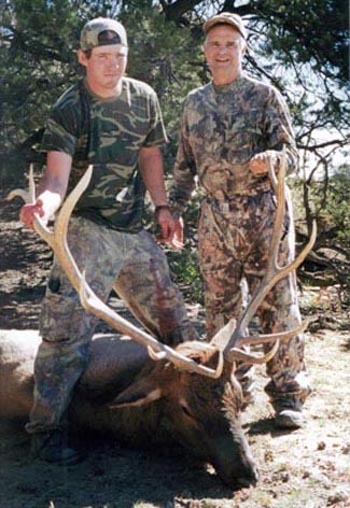 This is a heart ponder for sure. 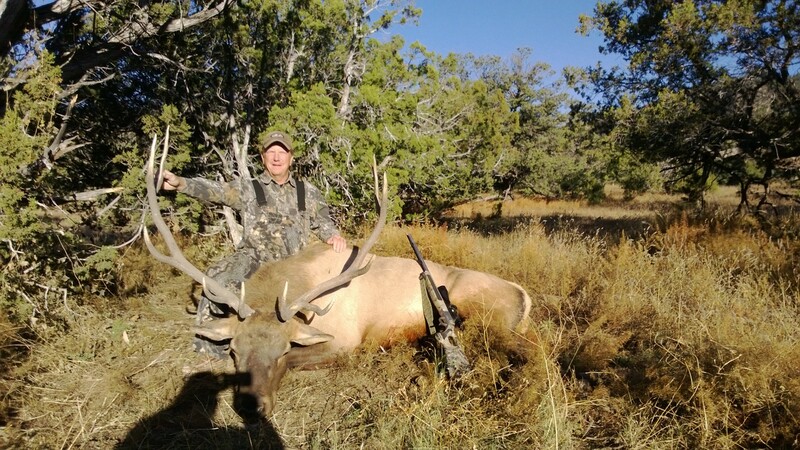 Hunt 3 – September 20 – 24 Full blown rut. 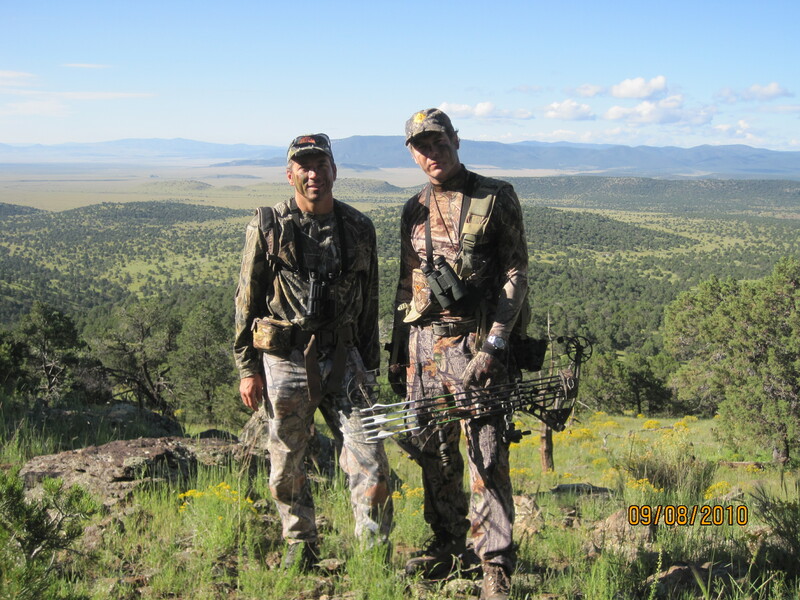 The bulls are bugling everywhere and you can hear them fighting off the satellite bulls trying to steal their cows. 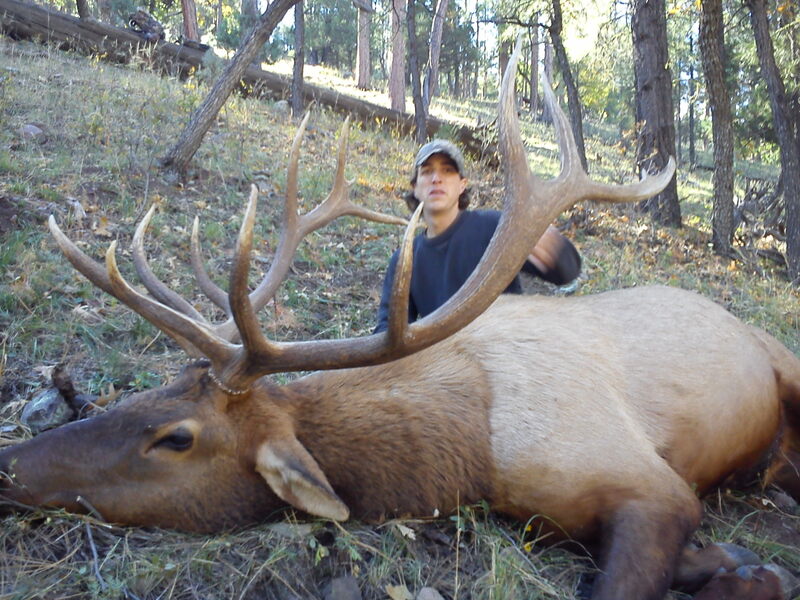 This is a great one. 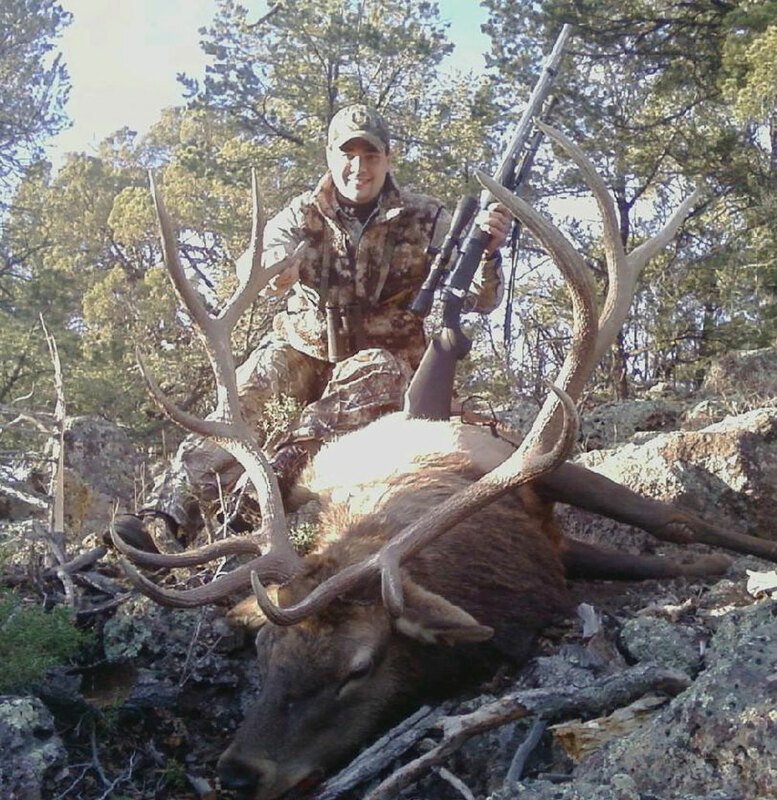 Hunt 1 -October 15– 19 The bulls are still bugling and trying to round up the last of the cows. 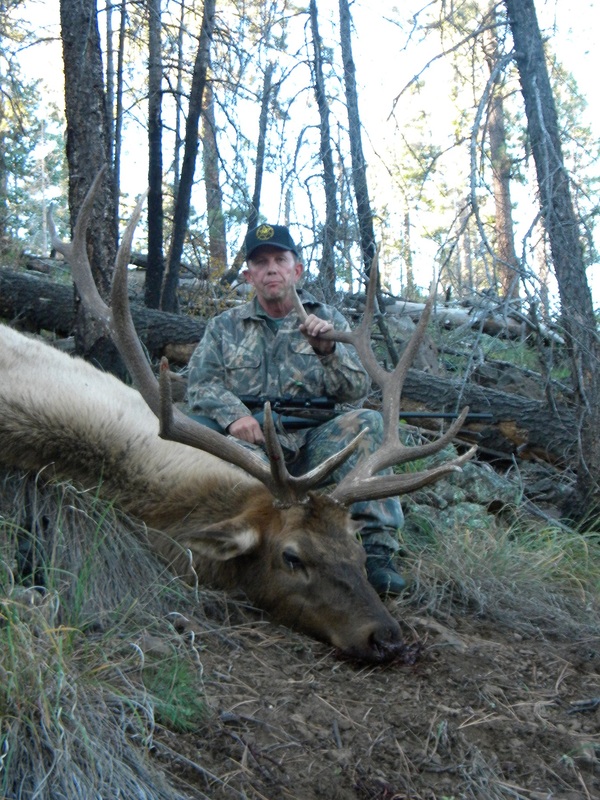 Hunt 2 -October 22 – 26 The bugling has slowed down, but you will still hear some. 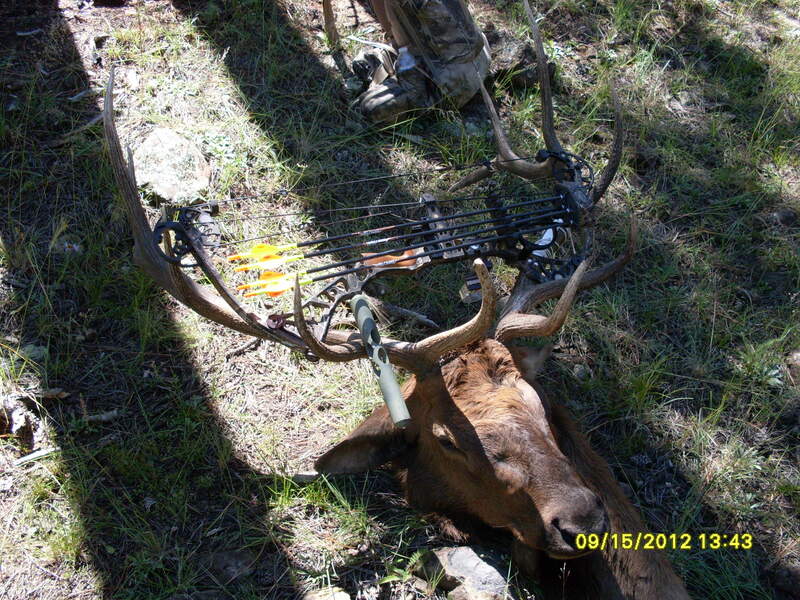 It’s still a great hunt and easier to draw. 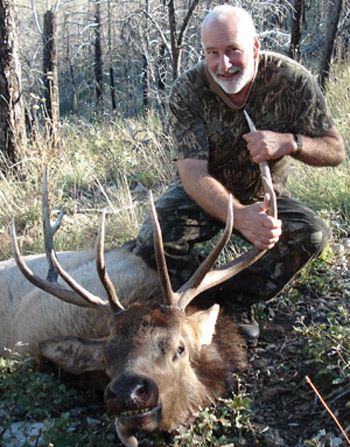 Hunt 3 -November 15 – 19 This a fun hunt. 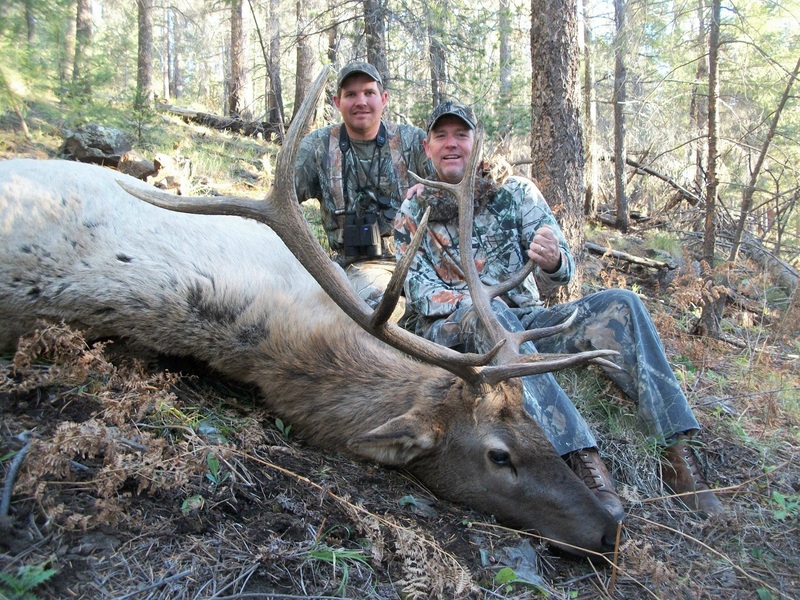 Most of the bulls are high on the mountains feeding on the brush and easy to glass up, spot and stalk. 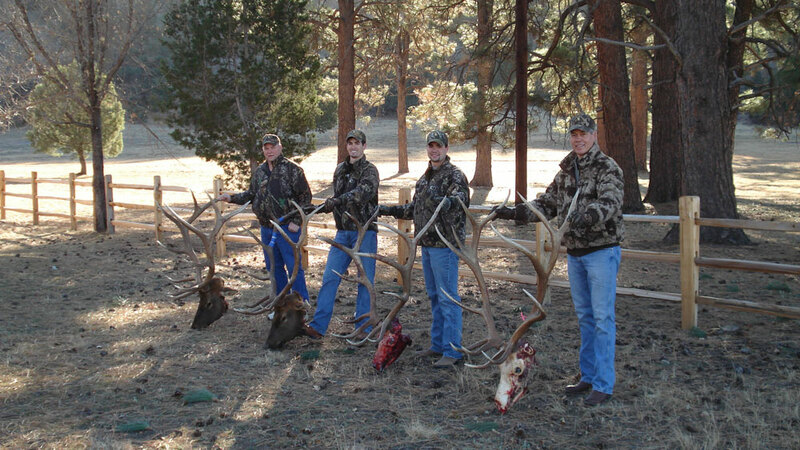 We take some real trophies on this hunt. 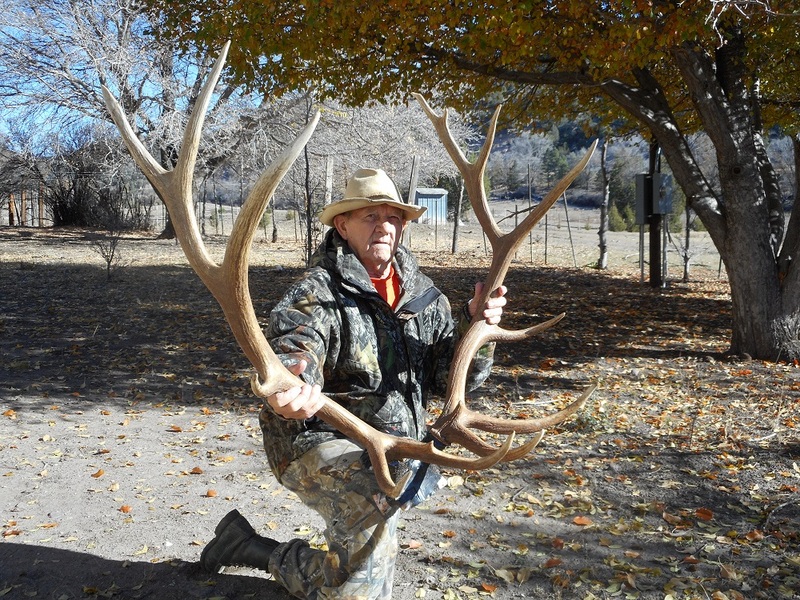 Be sure and be in good shape for this one. 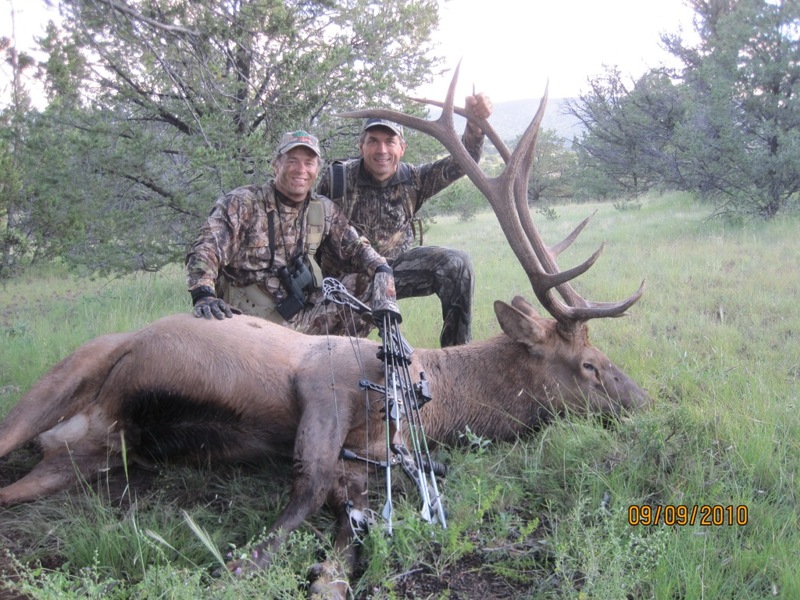 1×2 One Guide – Two Hunters $4500 ea. 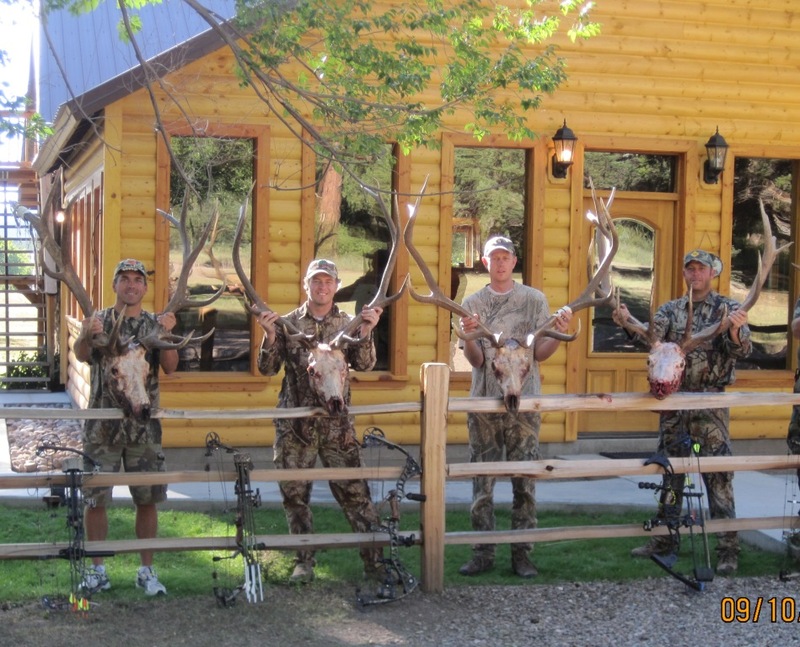 All hunts include Food, Lodging, Quality Guide, Transportation in the field, field preparation of game and packing game to camp.